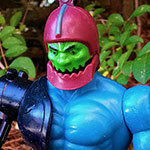 Five Random Action Figures, Part 42! | Dinosaur Dracula! 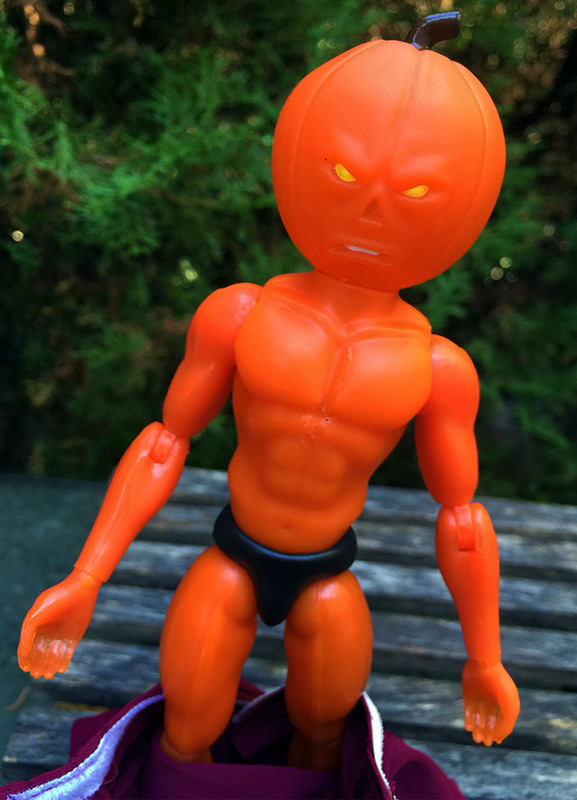 Get set for a special Halloween edition of Five Random Action Figures! This time, we’ll be dealing exclusively with MONSTERS… like creatures with pumpkins for heads, and also creatures just named Pumpkinhead. 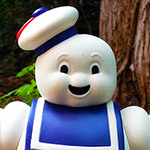 The character’s elegant design and sinister gravitas made him a fan favorite. 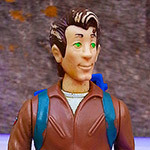 Sadly, there was never an official Real Ghostbusters action figure for Samhain, who had to wait until Extreme Ghostbusters to be immortalized in plastic. 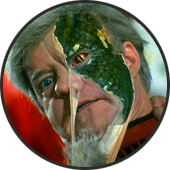 If you’ve never seen V — meaning the original TV miniseries from ‘84 — you so gotta. It’s fantastic. Like a creepier version of Independence Day. The short summary: “Friendly” space aliens who look like regular people arrive on Earth, harboring an evil secret: They’re actually man-eating lizards, hoping to harvest the human race as a food supply. Yes! 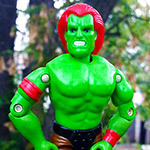 This action figure was one of the very few V toys available, and by far the best of them. 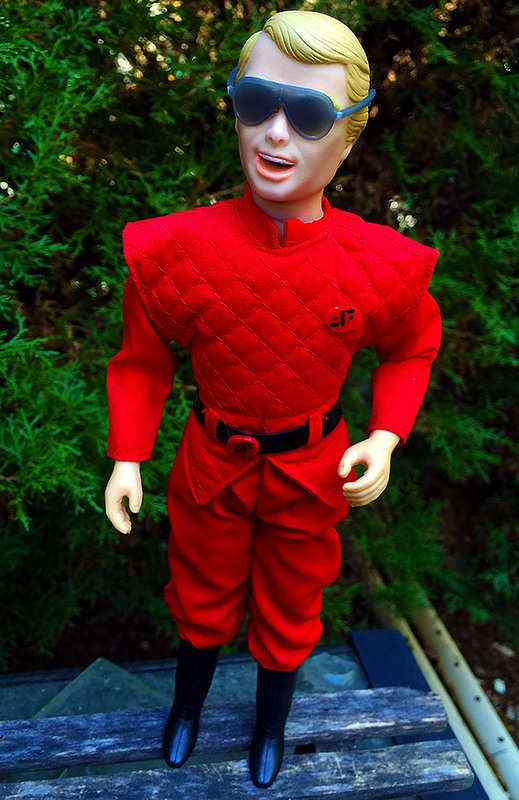 At first, the “Enemy Visitor” just looks like a Ken doll cosplaying as someone from Devo. 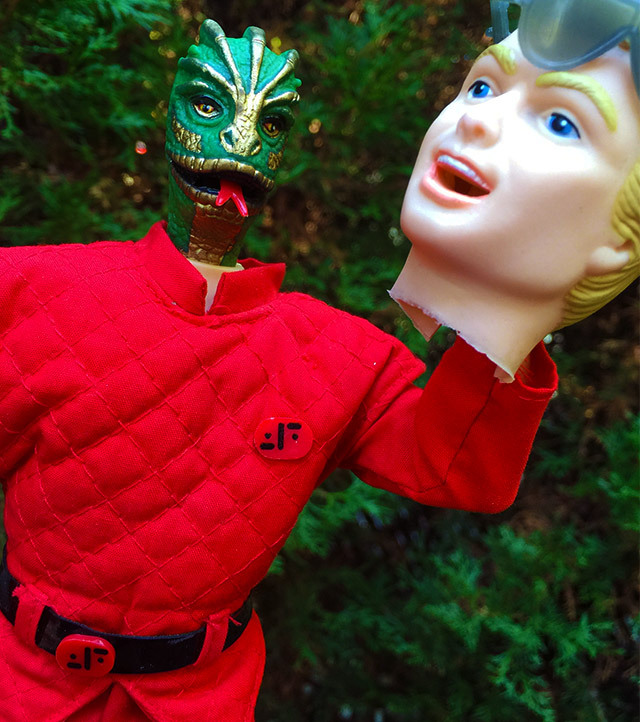 Tear off the face, and the monster is revealed! 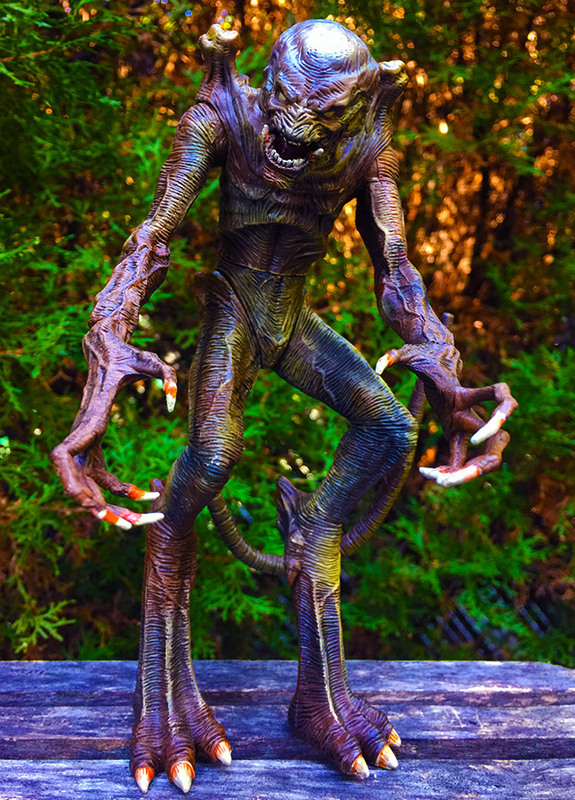 Part of McFarlane’s sprawling line of Movie Maniacs figures, Pumpkinhead is huge, heavy and could easily double as a mutant shuriken. The specialness of this figure had a lot to do with its timing. It wouldn’t be terribly surprising to see a Pumpkinhead toy produced today, when so many playthings are made with adult collectors in mind. Back in 1999, though, news of Pumpkinhead’s arrival sent certain pockets of the internet into caps-locked frenzies. 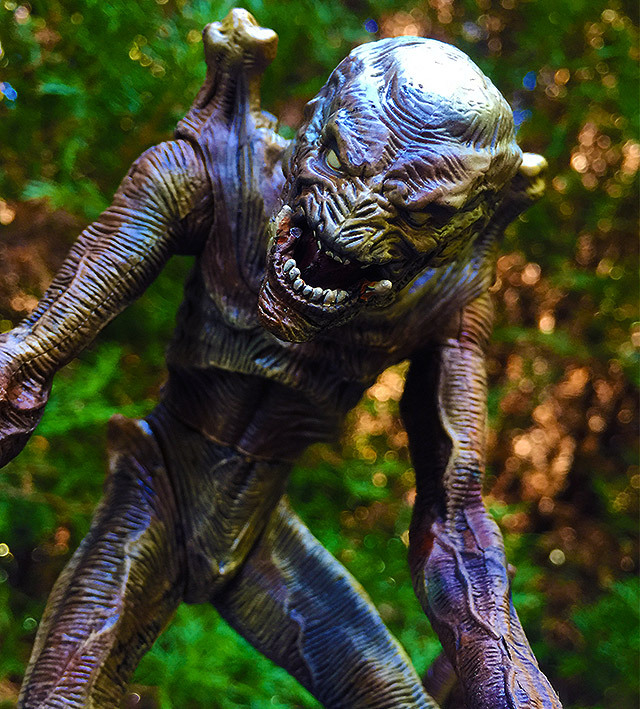 The Movie Maniacs collection mostly dealt with horror icons that already had fanbases the size of armies, so it was nice to see Pumpkinhead get some pub. 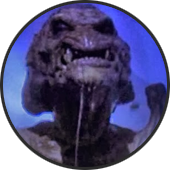 Hell, I’d even submit that Pumpkinhead’s inclusion was a subtly big reason for his increasing stock among horror fans! 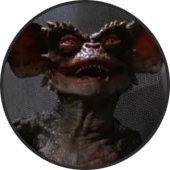 Fun fact: The dog in Pumpkinhead — “Gypsy” — was played by the same dog who portrayed “Barney” in Gremlins! 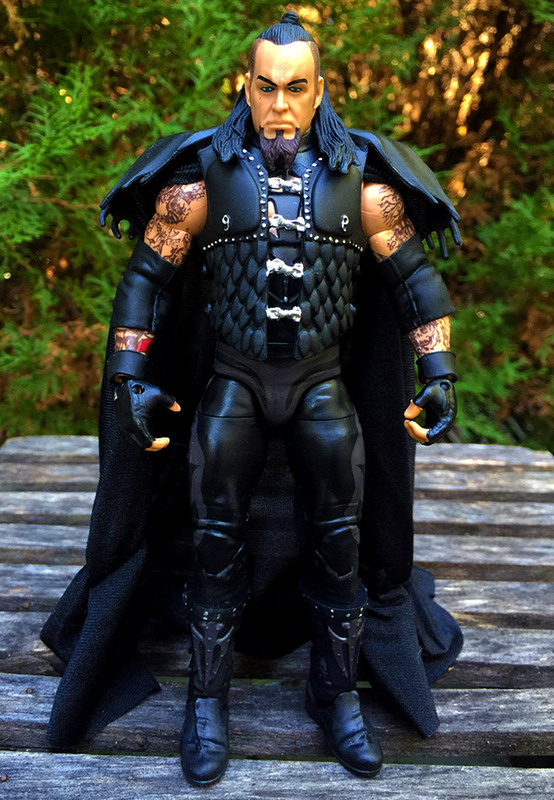 This isn’t any regular old Undertaker figure. 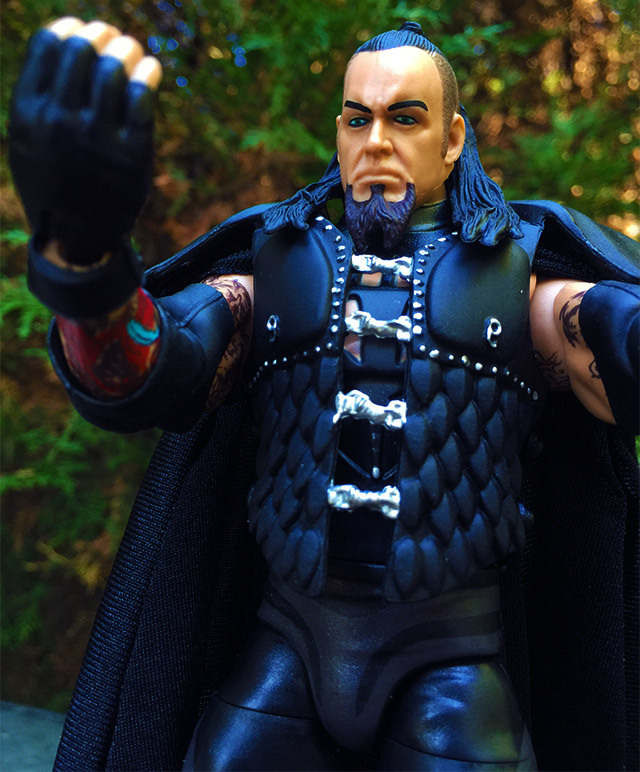 It’s a Ministry of Darkness Undertaker figure. Big distinction! Let me take you back to late ‘90s. After spending most of the decade as a fan favorite, the Undertaker turned heel. When wrestlers turn heel, we usually mean “he hit his friend with a chair” or “he cheated to win a match.” With the Undertaker, it worked a little differently. 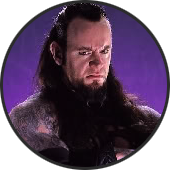 Reborn as a Satan-like cult leader who literally crucified his enemies, the Undertaker ran a gang of midcard monsters and occasionally spoke in tongues. Many fans thought this was all incredibly stupid, but I loved it. 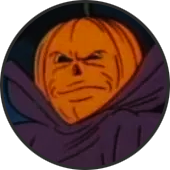 The biggest villain on the show was suddenly Ernest Borgnine from The Devil’s Rain. 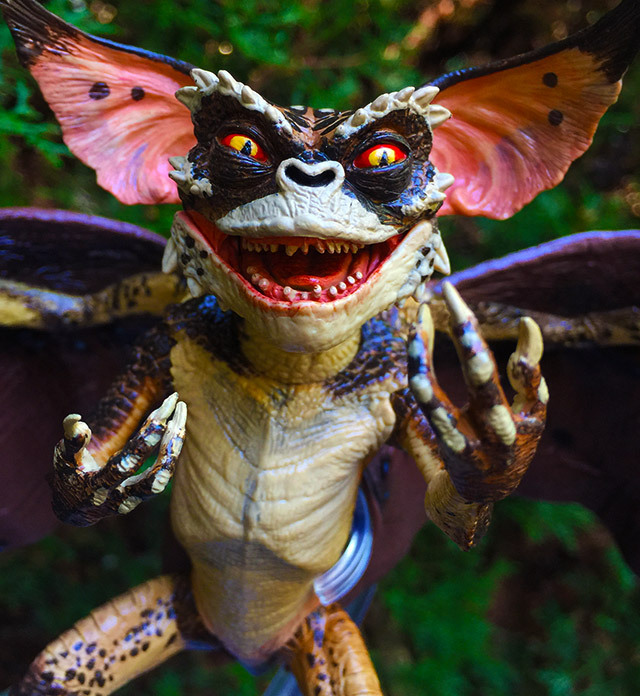 Even after all this time, I’m still floored that there’s an official Gremlins action figure collection. A REALLY GOOD ONE, too. I like most of the stuff NECA puts out, but could anyone argue that they didn’t do their best work on this line? Possibly excluding Mohawk the Spider Gremlin, Bat Gremlin is as good as the collection gets. 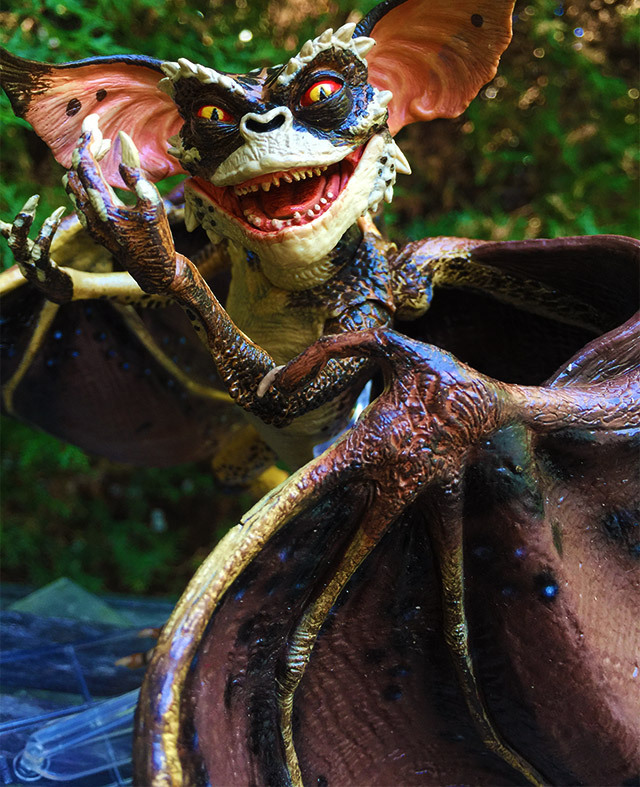 With a level of detail that makes me want to start a whole new Instagram account exclusively for him, Bat Gremlin looks real enough to talk to. 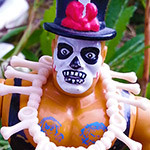 Spooky Action Figures I! | Spooky Action Figures II! | Spooky Action Figures III! 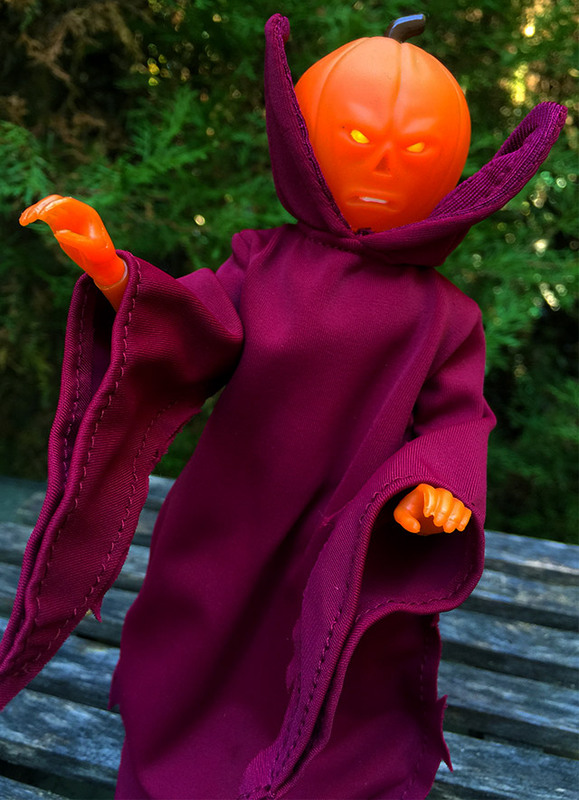 Five MORE Spooky Action Figures! 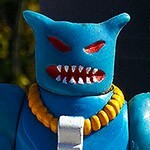 Yet MORE Spooky Action Figures!